This house was just built and finished at the end of last month and the homeowners have just moved in. Part of the building contract was to have all of the walls and trim painted white but homeowners, Mary and Jason wanted the space to feel more like them. 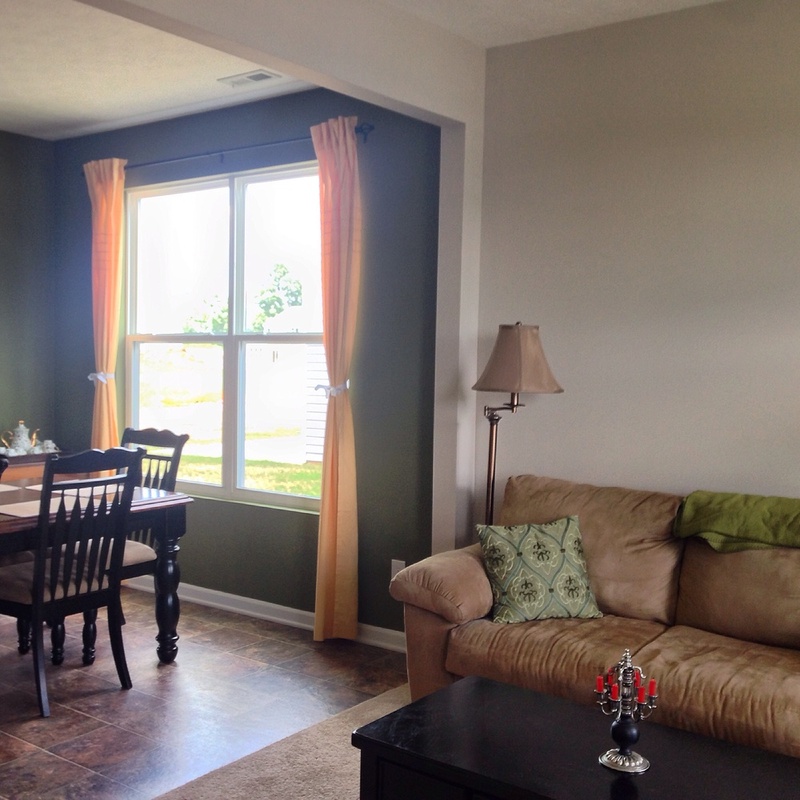 Initially, they wanted to go with colors in their previous home picked out by Sherwin Williams, but seeing as we carry Benjamin Moore they decided it'd be better to avoid the hassle of providing the paint themselves and have us pick it up at Bloomington Paint and Wallpaper. They used Benjamin Moore's online color gallery to pick out the colors. We offer ben in our “Basic Package” for customers working with a budget. While not as advanced of a product as Aura, it still performs well and looks great. Most important is it keeps the green promise of being safe for animals and young children. Which was important for the couple because they have two small dogs. The neutral color picked is called Smokey Taupe 983 and it matches beautifully with Chopped Dill. Our goal is to make the process pain free. In fact, we typically work one or two rooms at a time so that you can start putting your house back together after we're done for the day. A great example is this home featured. We started on Monday and still have a couple rooms left. 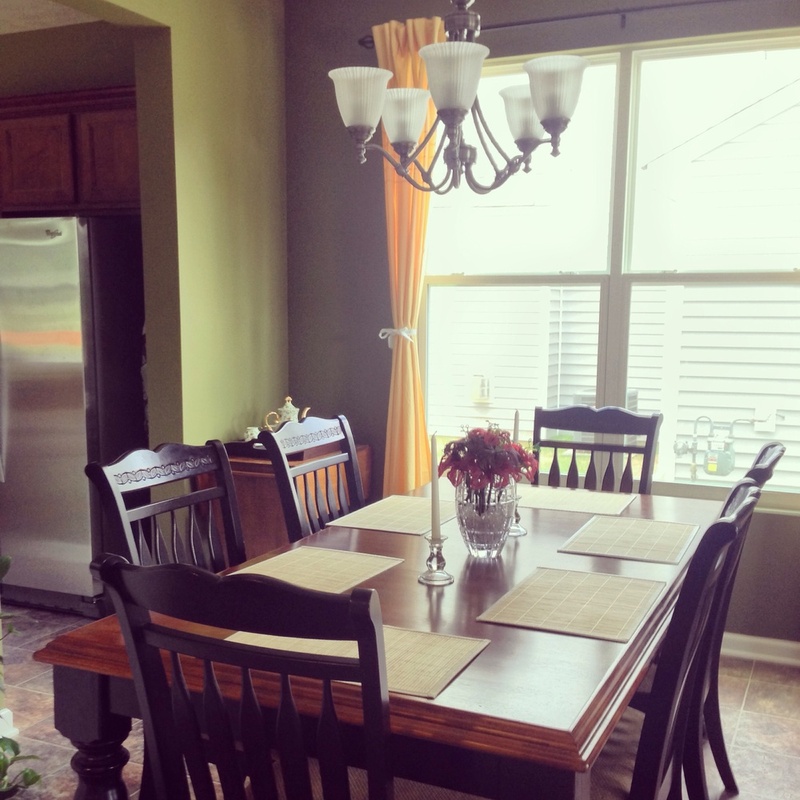 But after the first day they were able to decorate their dining room and living room that night and get back to living. Check back for progress on the rest of the home and schedule with us for a free estimate!